EARN MONEY THROUGHOUT THE YEAR WITH THE DRIVER REFERRAL PROGRAM! FOR EACH DRIVER YOU REFER, YOU HAVE AN EARNING POTENTIAL OF $2,500 PER DRIVER! 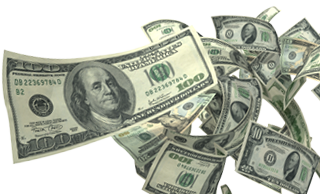 All referral bonuses paid in full within 90 days of hire! Submit your referrals here. Once we receive your submission a recruiter will contact you shortly! Thank you! The MORE YOU REFER, THE MORE BONUSES YOU CAN RECEIVE! You can also use Decker’s Transflo mobile app feature to send in your referrals. 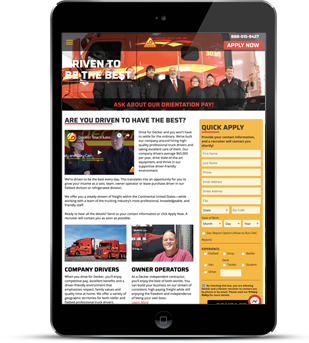 If you do not have the app, please contact your Fleet Manager or Recruiter. Congratulations to our top Referral Drivers of 2018! Every Driver that has a recruit in orientation will be entered into a drawing to win either a tablet/laptop or $750 cash equivalent during the quarter in which their recruit is in orientation. DRIVER REHIRE BONUS OF $400 PAID IN FULL AFTER 90 DAYS OF HIRE!